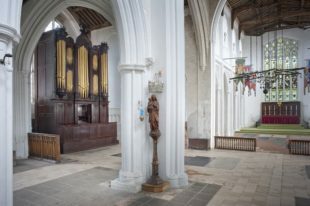 Gillian Ward Russell, who is a leading expert in the performance of Georgian organ music will talk about the 1820 Lincoln organ at Thaxted and lead masterclasses, on Saturday May 28th. The day is organized by the Cambridge Academy of Organ Studies. Details from Andrew Johnson: andrewpj@waitrose.com See also www.cambridgeorganacademy.org.